"The biggest problem with this scandal isn't that Cambridge Analytica is shady—it's that Facebook is." As the damning details of Facebook’s largest-ever data breach at the hands of pro-Trump data firm Cambridge Analytica continue to pour in—and as the social media giant’s share price continues to plummet as a result—Sen. Richard Blumenthal (D-Conn.) on Monday called on CEO Mark Zuckerberg to “testify under oath” before Congress to explain why his company took so long to notify users that their information had been compromised. Blumenthal’s request comes amid growing calls—both in the U.S. and overseas—for Zuckerberg to answer for his company’s failure to ban Cambridge Analytica in 2015, when the platform first discovered that the personal information of millions had been harvested in violation of company policy. Since details of Cambridge Analytica’s exploitation of Facebook were published by the New York Times and the Observer over the weekend, the social media giant has downplayed the incident, argued that it doesn’t constitute a data breach at all, and maintained that Cambridge Analytica is solely to blame for the improper harvesting of personal data. But privacy advocates have argued that while Cambridge Analytica should be held accountable for its actions, Facebook cannot be let off the hook. 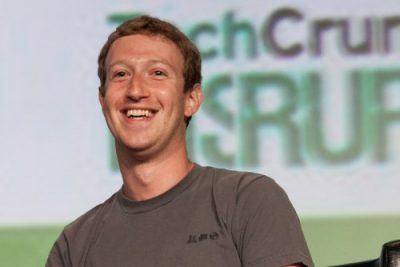 In a letter (pdf) to Zuckerberg—who has yet to make a public statement about the incident—delivered on Monday, Sen. Ron Wyden (D-Ore.) highlighted “the ease with which Cambridge Analytica was able to exploit Facebook’s default privacy settings for profit and political gain” and demanded to know how many similar incidents have occured over the past decade.